Feng shui colors, when used properly, will bring the desired energy into your home. Color is really easy to bring into your home, as well as change as often as needed with little or no commitment. A red pillow or a yellow blanket can bring an immediate spark into your space without too much effort or investment. It is always good to know, feng shui-wise, what energy a specific color will bring into your space, so if red is the color you are contemplating for any area of your home, let's look into its power. The feng shui energy of color red is the energy of arousal. It is hot, passionate, rich and celebratory. 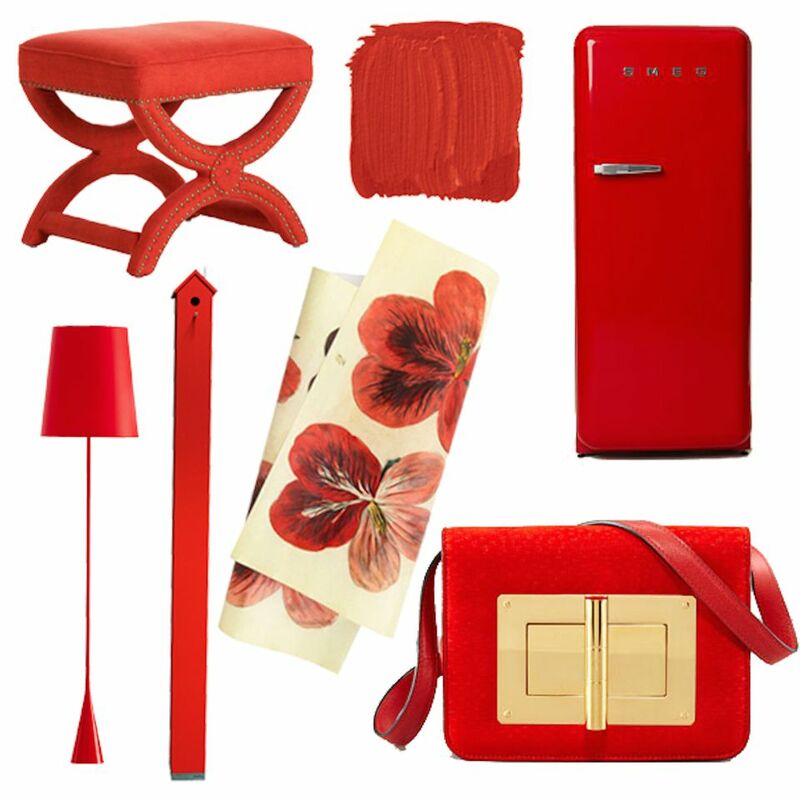 In feng shui decorating red color always signifies richness, luck and luxury. If used too much, though, it can bring bursts of anger and over stimulation. Better use it with caution, always easier to bring red color in your decor with details and accessories, rather than with furnishings or wall color. Feng shui-wise, use color red with most moderation in children's rooms, freely in the living room, the dining room and the kitchen. Limit color red (the Fire feng shui element energy) in the following feng shui areas of your home: East and Southeast (governed by the Wood element), as well as West and Northwest (governed by the Metal element). Being a Fire feng shui element color, red color is excellent to use in the South feng shui bagua area (Fame & Reputation), as it matches the feng shui element of this direction. You can also use the color red in the feng shui bagua areas with the Earth element, as Fire nourishes Earth in the productive cycle of the 5 feng shui elements. The Earth feng shui element areas of your bagua are the Center, as well as the Southwest (Love & Marriage) and the Northeast (Spiritual Growth and Cultivation). If the idea of bringing red color into your home is not that appealing, you can experiment with many different tones of red - from brick red to plum red, or bring the desired feng shui Fire element energy with its other colours, such as yellow, purple, orange or pink.